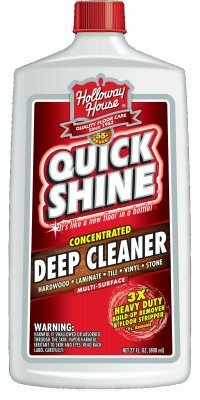 27 OZ, Quick Shine Deep Cleaner, Citrus Floral Scent, Goes To Work On Old Wax The Moment It Hits Your Floor, Quick Shine Deep Cleaner Was Designed For Use In Hospitals, Hotels and Public Buildings Where Speed and Efficiency Count, Unlike Most Wax Strippers, It Has No Ammonia Fumes and Can Even Remove The Newer Acrylic Finishes. If you have any questions about this product by Holloway, contact us by completing and submitting the form below. If you are looking for a specif part number, please include it with your message.